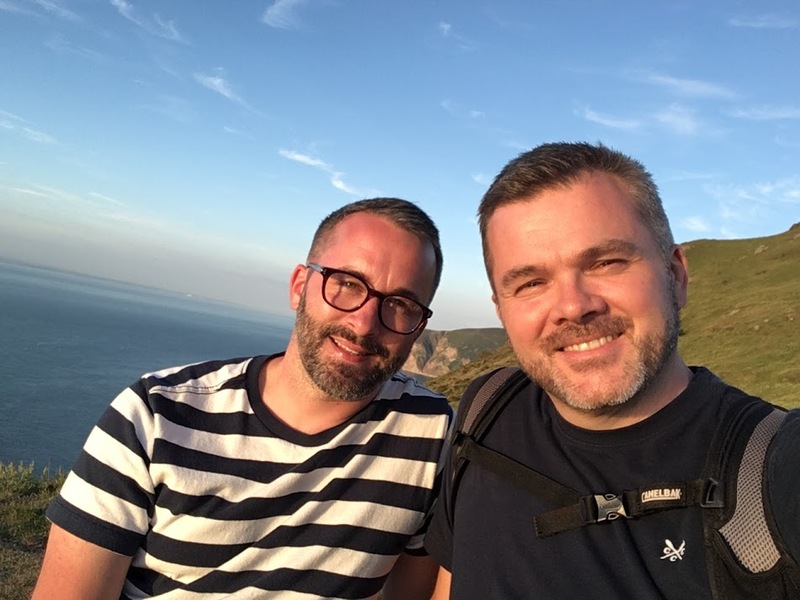 We meet owners Neal and Jason as they tell us why they fell in love with beautiful Highcliffe House in Devon, how they became its proud owners and what makes them devoted to this magnificent area – it undoubtedly has some of the finest views we’ve ever seen. With both coastal pursuits and town life on offer, the region provides a veritable smörgåsbord of holiday activities, making it a destination with something for everyone. We both grew up in the country and then moved to cities as adults. Neal grew up in the Cotswolds and then moved to London in the nineties to pursue a career in Fashion Buying, which he then did for 20 years. Jason grew up in North East Lincolnshire and worked in hospitality and graphic design. He was offered a job in Asia and then spent over 10 years working in China and Hong Kong as a Director of a packaging design company until he moved to London. The leap from city life to country life was a carefully planned over two years. To make sure we were doing the right thing, we spent a lot of time researching and identifying what it is that we both wanted from life, the type of lifestyle we wanted and the income we would need to live. Once we’d come up with a plan we both liked, the decision to leave London and our work was an easy one. It was then down to finding the right place. I’d always had the idea of running a B&B one day, which really appealed to Jason, so we followed that path. 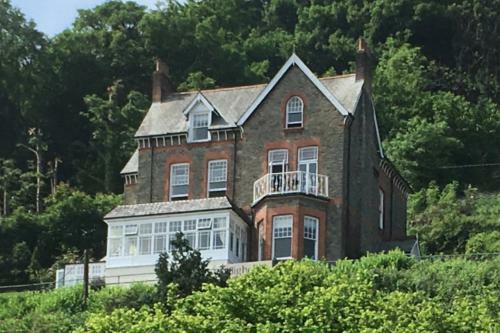 We were originally were looking at unusual properties to convert into a B&B or self catering holiday accommodation, such as farmhouses, barns, lighthouses and even a house built into a gun turret on a cliff!! All very exciting!! We searched the south coast for some time, but we wanted something more wild and dramatic, which led us to the North Devon coastline. 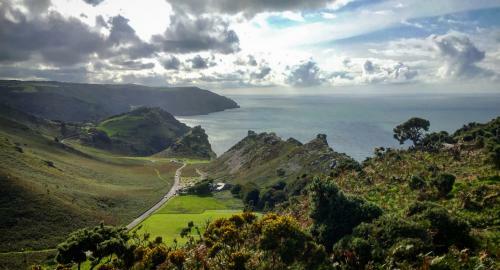 We drove through Lynton and Lynmouth a few times on our search and always meant to come back. Then eventually we did, as we spent a morning looking at properties here – one of which was Highcliffe. The whole journey home, Jason kept asking “can we live there, can we live there”, so how could I resist?! We made an offer which was accepted (after some negotiation) and the rest fell into place. We then moved in (mid-season) in September 2016 to a diary full of bookings. We had to hit the ground running and just get on with it. Luckily it all worked out and we now have many guests who’ve been back to stay with us over and over again. There’s so much to see and do in Exmoor, and there really is something for everyone. 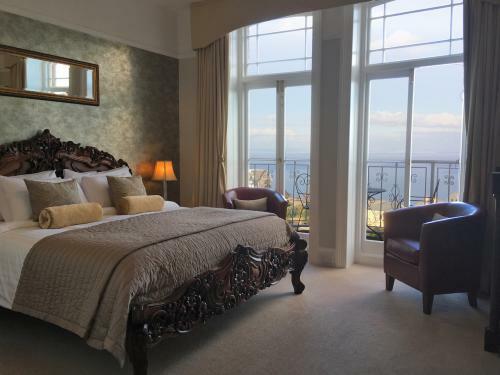 Visitors are spoilt for choice with the stunning scenery, gorgeous historical gardens and houses, endless amount of breathtaking coastal and moorland walks, delicious food and amazing accommodation (well I would say that). There are some more unusual things to do, like going on safari! This involves being driven around in a 4×4 to remote places unheard of by the general public and getting close to the country, animals and learning a bit of history. If you like animals there is The Exmoor Falconry, Exmoor Zoo, The Exmoor Pony Centre and several riding stables. The surfing around here is great and there are also surf schools if you need some help. For those keen to brave some of the steepest hills in the country, there is also cycle hire. If you prefer something a little calmer, the beautiful medieval Dunster Village and Dunster Castle are absolutely stunning. Also worth a visit is Clovelly, which is a gorgeous little fishing village carved into the steep Devon hillside. Clovelly is one of the most famous villages in North Devon. Its cobbled high street ambles steeply downwards passing the quaintest 16th-century cottages and shops. Once you’ve reached the bottom of the high street you’re rewarded with the most beautiful sea and harbour views. There are no roads there and the only forms of transport you will see are sledges and donkeys. Walking up and down is the only way you can see this exquisite treasure. FA: What’s your favourite walk and are you a dog friendly place to stay? We have many favourite walks as we’re spoilt for choice. Probably the best one is walking over the top of Summerhouse Hill, which has several lookout points to take in the views. We then walk down the other side through an Iron age settlement and down to the West Lyn river, which takes you on to Watersmeet, where you can get a cream tea and sit outside and watch the two rivers meet. Then after that we like to walk further down the river, which changes shape from jagged boulders, to smooth stone deep pools and crashing water, on to the cute little village of Rockford, where you can grab a nice local beer at one of the cute pubs. As Highcliffe House is adults only and our guests come here to relax and enjoy the peace and luxury, we made the decision not to have pets – which our guests prefer. There are many places nearby which take pets. We also have lovely pale carpets and furnishings which wouldn’t stand the test of a naughty pooch either! Lots of our friends have dogs, so we get to spend time with them on some lovely walks. FA: Do you have a favourite pub or restaurant nearby? For a small town, there are so many great places to eat. Our favourite pub is The Cottage Inn, which has a friendly relaxed atmosphere. It’s run by a husband and wife team who brew their own beer and have a Thai restaurant in the pub overlooking the river. The food is amazing and the beer is great!! We also have a soft spot for Spanish Tapas, so favour The Oak Room when we get the chance for lots of gorgeously prepared dishes in a really nice setting in Lynton. They also serve a white Rioja Tempranillo, which is addictive! We like to visit some of the stunning gardens we have nearby. Marwood Hill Gardens is one of our favourites as the garden is more natural and semi-woodland much like ours. They also have a vintage nursery where you can buy the plants they grow there. Arlington Court is also lovely to visit and has stunning gardens and a carriage museum and they also have farmers markets and a Christmas market there. RHS Garden, Rosemoor is on a much larger scale and has not only the gardens but hosts events, courses and you can even stay there. If we want a little city culture then we head to Exeter, which is a gorgeous old university city with the most beautiful old gothic cathedral. There are some great cafes, bars and restaurants with a really laid back atmosphere. Apart from working for ourselves in a beautiful house in a beautiful part of the country, the best thing is being fortunate enough to share the home that we love with others. Living here we get to meet lots of interesting new people all the time and share stories and experiences. We both have a passion for the decor and ambience, so really take pride in every object, piece of fabric, the colours, aromas and even the music in the house in order to create the right atmosphere. The food is also a great source of pleasure for us, finding tasty local ingredients, which we love preparing and serving to our guests. 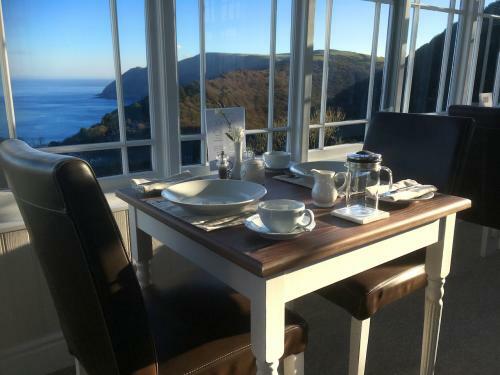 The best thing of all though, is looking out of the windows at the stunning scenery, (we are 600 feet above the sea, set on a granite cliff) watching the weather change and the beautiful countryside spring to life with colour and vitality.